Hybrid and public cloud services continue to rise in popularity, with investors claiming their stakes. Venture capital firms are investing most heavily in SaaS companies, proving that cloud solutions will be even more lucrative in the future. While some have doubted Dropbox’s ability to go public based on its $10 billion valuation, the fact that this leading SaaS company has raised $1.1 billion in six rounds of funding is pretty impressive. 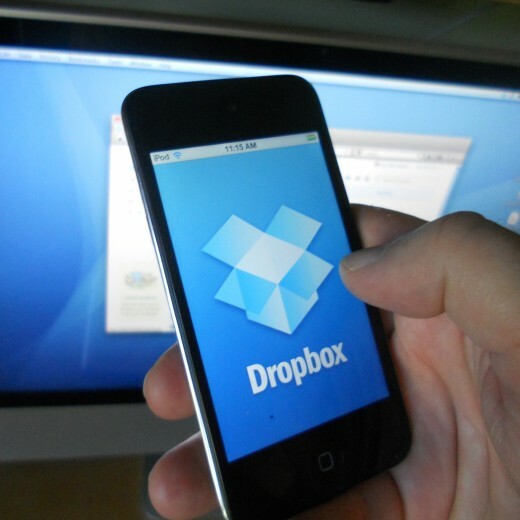 As Dropbox has expanded its value proposition from the now ubiquitous file sharing service to a collaborative platform, it has struck lucrative partnerships with Adobe and Microsoft. In doing so, Dropbox is setting a precedent for cloud service longevity with its ability to expand its value proposition and offer users practical partnerships. Then there’s the meteoric rise of DigitalOcean. Since 2011, the New York based startup has grown into the second largest cloud deployment platform for developers. The nimble startup is giving giants like Amazon, Google, and Microsoft a run for their money by providing a simple and scalable SSD cloud server platform. Instead of focusing on matching these huge companies’ quantities of servers, DigitalOcean has shifted its attention to user experience instead. This winning approach has brought the startup over $183 million in funding. In 2016 we can expect to see an ever expanding array of cloud services, from SaaS to PaaS, SDN and DBaaS. Machine learning — algorithms that enable computers to learn from experiences over time — will continue to grow. This will be an incredibly useful tool in data preparation and predictive analysis. Be on the lookout for the rise of deep neural nets (DNNs), a type of advanced machine learning that uses sets of algorithms to model complex nonlinear relationships – meaning machines that can perceive the world around them. 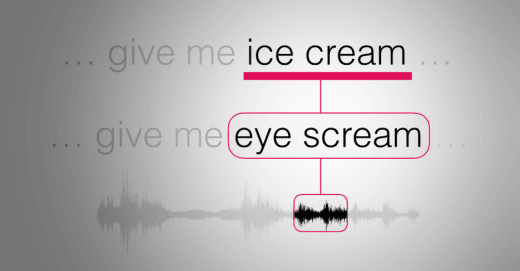 Systems like Apple’s Siri and Microsoft’s Cortana are precursors to such full scale autonomous agents. In a post-app future, we can expect to interact not with buttons and menus, but by speaking to an intelligent agent. By automating more processes that free up humans for the kind of work that only humans can do, we are moving into a future where machine learning works in tandem with human intelligence. Then there’s the ongoing competition between humans and machines, which goes back to Deep Blue’s chess upset in 1996. Earlier this year, Google made waves by conquering another milestone of AI with its first ever machine win against expert players of the complex Chinese board game Go. Last year Google acquired London-based AI startup DeepMind for their increasing focus on advancing AI. Winning this highly creative and complex game is Google’s way of showing how such a intuitive computer could lead to a host of useful applications, such as better software personal assistants. We can continue to see well established companies turning their attention and resources to getting ahead in the machine learning race. Across the board, we are witnessing huge auto tech breakthroughs: Google has been making ongoing strides in developing self-driving cars, while Tesla announced the development of an electric car that will be able to drive long distances without a human driver, bringing about a future in which your car is more like your personal taxi, summoned on your smartphone. Meanwhile, the explosion of ride sharing apps like Uber have called the whole idea of car ownership into question and Lyft partnered with General Motors to the tune of $500 million in researching how they can crack the code of the self-driving car sharing app race. Driverless or not, the future of the auto landscape depends on how cars can improve the user experience for passengers. GPS, bluetooth, and Wi-Fi are all standard options at this point, and the next wave of autonomous driving and electric battery innovations will make cars not only vehicles, but mobile data centers connected at all points to the cloud. 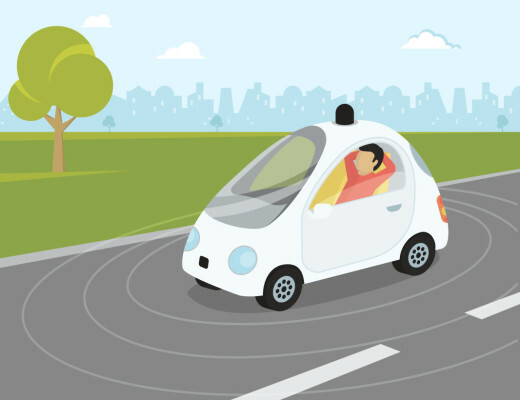 As the technology continues to advance faster than expected, we can expect to see driverless cars on the roads within a decade. 2016 will hopefully be the year when local and federal governments will hammer out the laws to safely implement these huge changes. Sessions discussing just that at the recent World Economic Forum in Davos signal how important regulating this new technology will be. Japan saw the world’s first emotionally intelligent robot come to life in 2015. Pepper sold out its first 1,000 units within a minute of launching last summer, and now SoftBank says the robots will run an entire phone store without human help as soon as Spring of this year. There is obviously a huge fascination with intelligent robots, in part because of their vast potential applications in both personal and professional settings. Whereas past robotics development has given us technically smart robots (think of IBM’s Watson), it’s capturing the nuance and variety of human small talk that’s really the big breakthrough for the next wave of robots. Apple recently acquired Emotient, a startup that uses an API that enables real time emotional analysis based on cognitive science, machine learning, and computer vision. This acquisition comes on the heels of Apple purchasing Faceshift, a tech company that specializes in facial recognition. Based on these trends, we can expect to see emotions becoming just as important in our mobile devices as cold hard data. With big data offering more insights than ever before, the key to utilizing this data is having the ability to interpret and analyze it. According to Oracle, simple big data discovery tools are about to take off, because they will allow business analysts to shop for data sets in enterprise Hadoop clusters, reshape them, and analyze them with machine learning techniques. Making the interpretation of big data more inclusive to average users will make it indispensable for businesses looking to learn from user behavior. Combined with the rise of artificial intelligence and machine learning, this next step in harnessing complex big data is essential. As we live into a future powered by big data, cloud computing, driverless cars, and emotionally aware robots, real life technology is rivaling and even surpassing everything we’ve seen in science fiction. It’s exciting to just see how these trends will play out and change the way we go about our work and our lives.